68th over: West Indies 236-9 (Chase 98, Paul 0) Stokes replaces Broad, and launches a ludicrous lbw appeal when his first ball is prevented from passing two feet over the stumps. Chase takes a single from the second ball of the over this time, but Gabriel doesn’t fulfil his side of the bargain. The question now is, just how unfit is Keemo Paul? He seems, on first inspection, to be moving pretty well. Gabriel swings his bat at a ball that was too close to his body, and gets a slight nick! 67th over: West Indies 235-8 (Chase 97, Gabriel 3) Chase boldly take a single from the first ball of Moeen’s over, leaving Gabriel to deal with the remainder. Which he does. 66th over: West Indies 234-8 (Chase 96, Gabriel 3) Broad’s first delivery passes through an impossibly small gap between bat and leg, flicking the trouser and anyway being dropped by Bairstow, as Broad raises his right arm and forefinger in expectation of something that doesn’t happen. Chase throws his arms at the next one, smacking past mid-off for four, and then bashes the third through the covers for four more! He’s now just one hit from a hundred, and Gabriel sees off the last two deliveries to make sure he’ll have a chance to complete it. 65th over: West Indies 225-8 (Chase 87, Gabriel 3) Chase waits a couple of balls before taking a single, and England bring in the field and dare Gabriel to hit over them. He does not nibble. 64th over: West Indies 224-8 (Chase 86, Gabriel 3) Gabriel hits the ball through midwicket for a couple. It’s as ugly a shot as you’re likely to see, the bat spinning in his loose grasp, and he has absolutely no control of where it’s going. The next one is edged but just short of third slip! 63rd over: West Indies 222-8 (Chase 86, Gabriel 1) Chase smears Moeen’s last two deliveries for a brace of fours, perhaps sensing that if he wants to complete his century he should probably get a move on. 62nd over: West Indies 213-8 (Chase 78, Gabriel 0) A misfield allows Gabriel to get off strike from the first ball by scampering a leg bye, but Chase does not exact punishment. 61st over: West Indies 212-8 (Chase 78, Gabriel 0) A live-fast-die-young innings from Joseph, who yahoos down the ground for another six, heaved high over long off, and then another, the ball flayed just a foot too high for Denly to catch at cow corner! Moeen just keeps giving him balls to hit and waits for him to fluff one, and the mistake is not long in coming. The key question now is whether Keemo Paul, stretchered off yesterday, will be fit to bat today. If not (and surely he won’t, but for now it’s speculation), England only need one more. Alzarri Joseph thunders the ball high into the sky, and down into the hands of Anderson, running round from mid on! The featheriest of feather edges saves Chase there! 59th over: West Indies 198-7 (Chase 78, Joseph 20) Another drop! It’s a sharp chance, flying to the left of Stokes at wide first slip. He flings out a mitt but can’t quite pouch it! Joseph crunches the next ball in the air and just over mid-on! Undaunted, he later thunders the ball in a similar direction, only quite a bit further, depositing it onto a grass bank in the middle of some sunbathers. 57th over: West Indies 189-7 (Chase 77, Joseph 12) Joseph lifts Moeen’s first delivery just short of midwicket, where Anderson does an unconventional diving forward-fling to grab the ball on the bounce. The next one he hits goes straight along the ground, and down the ground for four! 56th over: West Indies 184-7 (Chase 77, Joseph 7) Another let-off! Joseph hits a fine drive through the covers, pinging it off the sweet spot, but then believes his own internal head-hype and has a go at the next as well, spooning the ball into the air only for it to drop over the head of Moeen at cover! Chase survives another wide grubber and punts the final ball of Wood’s over to the long-on boundary. Time for Wood to have a bit of a lie-down, methinks. 55th over: West Indies 175-7 (Chase 73, Joseph 2) Six runs sir! Chase heaves Moeen down the ground and into the middle tier of the stand, fair terrifying a steward who it miraculously misses. 54th over: West Indies 166-7 (Chase 65, Joseph 1) Wood bowls a bouncer which doesn’t bounce very far, Joseph does very well to somehow duck under it and it then bounces twice more before it reaches Bairstow, who misjudges it and gets a rap on the knee for his troubles. 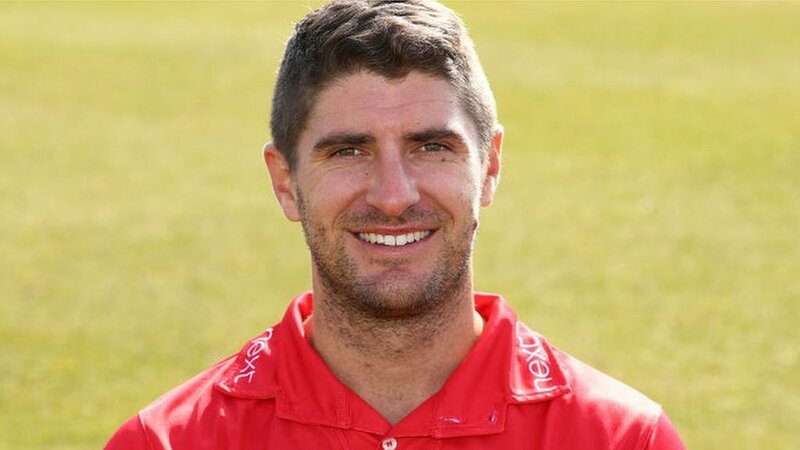 The bye allows Chase to get on strike, and he then thumps an elbow-high delivery through midwicket for four rather nicely. 53rd over: West Indies 161-7 (Chase 61, Joseph 1) A wicket from the first ball and a boundary from the last, as the field came in to stop Chase getting a single, so he smacked the ball past the lot of ‘em. Broad could perhaps have chased it down had he tried, which he didn’t. Roach humps Moeen straight into the hands of Wood at cover, and this one doesn’t go down! 51st over: West Indies 155-6 (Chase 57, Roach 29) An edge! Roach nicks it just too far to the right of Stokes at slip, and the ball rolls away for four. England have come very close to a wicket about five times since the resumption, but it just hasn’t quite happened. 50th over: West Indies 149-6 (Chase 56, Roach 24) That Burns drop gets uglier every time you see it. As the ball arced towards his head his hands stayed at waist height until the very last moment, when he suddenly brought them up - but too late to get properly set. There’s another chance here, as Roach gloves the ball over his shoulder, but a leaping Bairstow can only get webbing to it. And another, with Roach shielding his body with his bat and sending the ball looping to silly point, where nobody is waiting to take it! 49th over: West Indies 145-6 (Chase 56, Roach 20) Moeen keeps going, and another one stays low before missing the stumps. Then a ludicrous drop by Burns as Roach scoops the ball straight to him at mid-off. That was as straightforward a catch as you’ll ever see, but it goes into his hands and then out the other side! 48th over: West Indies 144-6 (Chase 56, Roach 19) Wood’s first ball is clipped through midwicket for three by Chase, and Roach then edges one through the gap between third slip and gully for four. The final ball slants across Chase, nicks something and is caught by Bairstow. There’s a decent appeal, but the umpire and also England, when it came to betting a review on it, correctly decide it hit thigh. The bowling here is clocked at around the mid-to-high 80s in your mph, so not exactly slow, but a fair chunk down on his first-innings peak. And that is tea! It was a session in which England’s progress towards victory continued at a steady, rather than a thrilling, pace. More to come in 20 minutes or so. 47th over: West Indies 136-6 (Chase 53, Roach 14) At least one of the bails is removed, and the batsmen head back to the pavilion for tea. But then the umpires decide that there’s time for another over and they’re beckoned back again. Roach takes the opportunity to smear a Denly delivery past point for four. 46th over: West Indies 130-6 (Chase 52, Roach 9) An Anderson delivery barely bounces, and Roach is fortunate that the ball was aimed at fifth stump rather than one of the three that actually exists. Then Chase gets a thick edge, and it whizzes past a diving, flying fielder at gully and away for four - and that’s his 50! 45th over: West Indies 125-6 (Chase 48, Roach 8) Denly does some bowling, and there’s a sharp caught-and-bowled chance as Roach smacks the ball down the ground - the bowler looked to have got both hands to it, but the ball just wasn’t for stopping. 43rd over: West Indies 117-6 (Chase 47, Roach 1) It seems terribly quiet at the Darren Sammy National Cricket Stadium, though Chase gets a smattering of applause as he hits each of the last two deliveries for two, and appears to have a full-on ovation heading his way. 41st over: West Indies 110-6 (Chase 41, Roach 0) Actually the ball flicked off Bairstow’s pad, significantly changing its trajectory, which explains why Stokes so miserably failed to get his hands to it. It was an excellent delivery, which Dowrich fended at on the back foot, but their was a whiff of good fortune about the dismissal. Moeen flinds the edge of Dowrich’s bat and though Stokes at slip has no time to move his hands, the ball handily lodges in the crook of his arm! 39th over: West Indies 102-5 (Chase 38, Dowrich 14) Both batsmen give the cover fielders a bit of a work-out, and then Dowrich flays the ball straight down the ground for four. 38th over: West Indies 95-5 (Chase 37, Dowrich 8) After a couple of singles, Dowrich pulls Stokes’ final delivery away for a couple. 36th over: West Indies 91-5 (Chase 36, Dowrich 5) Stokes gets one to climb and move into Dowrich, who squirms a bit but gets out of the way. Then he bowls again into Dowrich’s body, and the batsman takes one hand off his blade and hits it with his handle (it was, anyway, another no-ball). We’ve just launched an update on the Joe Root-Shannon Gabriel sledgegate story. I thought Root dealt with the incident with great class both on the field and when asked about it later, and it seems unlikely, unless new audio is uncovered, that any more will come of it. 35th over: West Indies 88-5 (Chase 35, Dowrich 4) Buttler is inches away from holding the greatest catch in the history of hands! Dowrich hits high over midwicket and Buttler dives to his left, reaches high with his right hand and gets palm to ball, but it just doesn’t stick! 34th over: West Indies 85-5 (Chase 35, Dowrich 1) Stokes bowls, and starts his over by significantly overstepping, spotted by the umpire, followed by a wide, the 38th of the match. That’s four more than the next widest Test in the history of Tests, between Australia and West Indies at Bridgetown in 2008. 33rd over: West Indies 80-5 (Chase 33, Dowrich 0) Good evening/afternoon/whatever everyone! The first half of Moeen’s over passes without incident, but then Keaton Jennings at short leg taking one in the chest, and Chase spanks the next ball over mid-on for four, not the most handsome shot but effective enough. 32nd over: West Indies 76-5 (Chase 29, Dowrich 0) That’s it from me, as Simon Burnton is waiting to be tagged into the ring. You can email him on [email protected] or tweet @Simon_Burnton. Thanks for your company throughout the series, bye! Shimron Hetmyer is needlessly run out. It was, in fairness, a fine piece of work from Joe Denly and Jonny Bairstow. Chase squirted a full toss from Wood towards deep backward point, where Denly ran round the boundary and whistled a throw towards the stumps. It arrived on the half-volley at Bairstow, who did superbly to collect and break the stumps in one movement. Hetmyer, whose running was not as urgent as it might have been, knew straight away he was out. The third umpire confirmed it. 31st over: West Indies 72-4 (Chase 27, Hetmyer 18) Moeen beats Chase with a delightful curving offbreak, effectively an outswinger to the right-hander. Drift bowling is a slightly underappreciated art. I remember one superb spell from Graeme Swann during the 2010-11 Ashes, though I forget which Test. 30th over: West Indies 69-4 (Chase 26, Hetmyer 16) Chase, who was torpedoed by Broad in Antigua, does seriously well to get his bat down on another grubber from Wood. He can do the square root of bugger all two balls later when a short ball keeps absurdly low, goes under his bat and misses the off stump by a whisker. That’s extraordinary – two grubbers in three balls. “I only saw Allan Donald bowl once for Warks, but there was one of those spells,” says Richard Jansz-Moore. 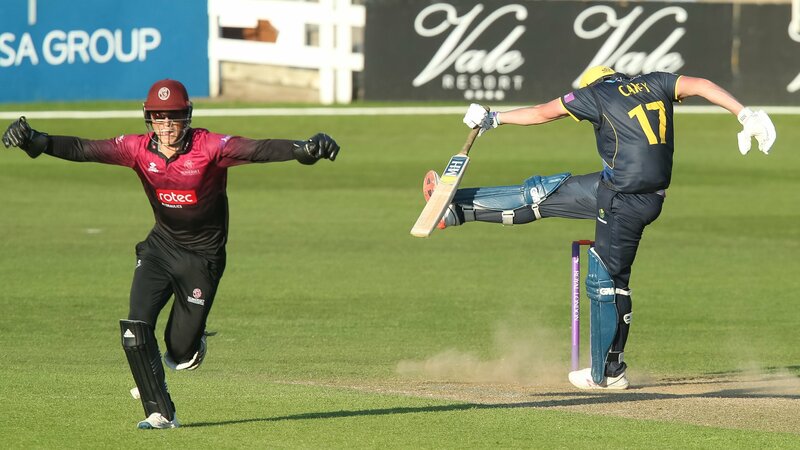 “I have the misfortune to be a Northants fan, but back then we were pretty good and had a healthy rivalry with Warwickshire. I went along to a one-day knockout game at Edgbaston with reasonable hope. Donald started off bowling and he looked pretty decent, but nothing too worrying. 29th over: West Indies 67-4 (Chase 23, Hetmyer 17) ‘Catch that!’ says Jonny Bairstow, as Chase plays a defensive shot straight into the ground. Three singles from Moeen’s over, and a lot of chat from behind the stumps. 28th over: West Indies 64-4 (Chase 21, Hetmyer 16) Mark Wood returns to the attack and sends down a sizzling yorker that is adroitly defended by Hetmyer. His radar is a bit off for the remainder of the over, mostly down the leg side, and Hetmyer is able to flick and pull a pair of twos. Wood’s pace is fine - around 89mph - but I reckon he is forcing it a little. On Sunday he had a beautiful rhythm which made it look (and, I suspect, feel) effortless. 27th over: West Indies 59-4 (Chase 21, Hetmyer 12) ‘Big drive straight to Stokesy!’ says Jonny Bairstow, who is clearly relishing being top dog once again. He has been very talkative, even by his standards. A quiet over from Moeen, who isn’t getting much turn or bounce. There is a strong breeze, however, so drift is his main weapon at the moment. 26th over: West Indies 54-4 (Chase 18, Hetmyer 11) Broad beats Chase with an unplayable delivery that straightens sharply and lifts off the pitch as well. Although batting looks more comfortable than it did before lunch, there is usually at least one jaffa an over from the seamers. I’m researching an article on him at the moment and this is gold, so thanks. 24th over: West Indies 52-4 (Chase 17, Hetmyer 10) Hetmyer misses an attempted hook stroke off Broad. While he is batting friskily, Chase looks determined and solid. He hasn’t had a great series with the bat, though he’s received some good deliveries, including an unplayable grubber in Antigua. 23rd over: West Indies 51-4 (Chase 18, Hetmyer 8) Moeen Ali replaces James Anderson, who only bowled a couple of overs after lunch. Maybe he’s feeling his ankle. Hetmyer almost yorks himself from Moeen’s first ball, prompting Jonny Bairstow to try some ‘Mind the windows’-style sledging. Hetmyer ignores him and drives a single down the ground. 22nd over: West Indies 48-4 (Chase 16, Hetmyer 7) Hetmyer misses another extravagant drive at Broad, who is getting the ball to straighten from around the wicket. 21st over: West Indies 45-4 (Chase 14, Hetmyer 6) Chase plays a beautiful cover drive for four off Anderson. Batting was almost comically difficult against the new ball but it looks more comfortable now. 20th over: West Indies 41-4 (Chase 10, Hetmyer 6) Stuart Broad returns at the other end in place of Mark Wood, who is sensibly kept to a four-over spell. Hetmyer misses a flamboyant yahoo at a wide delivery. There was a noise as the ball passed the bat, though Broad didn’t appeal and Bairstow was only mildly interested. Ultra-Edge suggests there was no edge. But it doesn’t bloody tell us what the noise was, does it. 19th over: West Indies 40-4 (Chase 9, Hetmyer 6) Ben Stokes starts the session with an impromptu handstand, which might be a first in Test cricket. Jimmy Anderson, who was too good with the new ball, returns to the attack and lands awkwardly on his ankle in his delivery stride. He seems okay, although he is not entirely thrilled when Hetmyer smokes him back over his head for four. Ah, I missed this email earlier from Dan Goldstraw. 18th over: West Indies 35-4 (Chase 8, Hetmyer 2) Chase is hit painfully on the glove by a malevolent short ball from Wood, after which he gets down the other end as soon as possible. Hetmyer is put on his backside by a good bouncer and then calmly blocks the last delivery of the session. England have been all over West Indies and are on course for a huge consolation victory. 17th over: West Indies 34-4 (Chase 7, Hetmyer 2) A quiet over from Stokes. We’ll have time for one more from Wood before the break. 16th over: West Indies 33-4 (Chase 6, Hetmyer 2) Mark Wood has bowled 11.2 overs in this match, and taken six wickets. That’ll do. Mark Wood gets his first wicket of the innings, with Shai Hope lobbing gently to cover. It was a strange shot from Hope, who tried to play defensively with both feet off the ground - and one hand off the bat - as the ball came back at him. It looped off the leading edge towards Broad, who backpedalled smartly to take the catch. 15th over: West Indies 27-3 (Hope 10, Chase 6) Chase fences a Stokes lifter wide of gully for four, and berates himself for playing the shot. West Indies have probably three more overs to survive before lunch. 14th over: West Indies 23-3 (Hope 10, Chase 2) Wood beats Hope with a superb full-length delivery that straightens off the seam. That missed the outside edge by a long way, in fact. Hope responds with a glorious cover drive for four off the next ball. Wood doesn’t yet have the rhythm of the first innings, though he still hovering around 90mph. 13th over: West Indies 16-3 (Hope 4, Chase 2) Another maiden from Stokes to Chase, who is trying to hang around on the assumption batting will get a bit easier after lunch. 12th over: West Indies 16-3 (Hope 4, Chase 2) It’s time for Mark Wood, who gets a huge cheer when his name is announced. English cricket is a much happier place when he is in the team and is bowling well. He has three slips, two gullies, a leg slip and a short leg. His third ball is a beautiful bouncer that forces Hope to duck forward outside the line. That rattles Hope, who is beaten chasing a wide one next ball. A fine start from Wood, with a top speed of 89mph. 11th over: West Indies 14-3 (Hope 2, Chase 2) Ben Stokes replaces the declining James Anderson, who has gone 11 deliveries without taking a wicket. This is Stokes’s first bowl in the match; as Nasser Hussain says on Sky, there is surely a correlation between his workload with the ball and his batting average. His first over is a maiden to Chase, who does well to dig out an attempted yorker. 10th over: West Indies 14-3 (Hope 2, Chase 2) All things being equal, England are likely to start the 2019 Ashes with the same attack that played the first Test against Australia in 2015: Anderson, Broad, Wood, Stokes and Ali. Funny how things work out. 9th over: West Indies 12-3 (Hope 1, Chase 1) A quiet over from Anderson. Didn’t even take a wicket, though he did allow Hope to get off the mark from his 27th delivery. Is Father Time finally catching up with him? 8th over: West Indies 11-3 (Hope 0, Chase 1) Chase is beaten by a stunning legcutter from Broad that turns him round and flicks the back leg on its way through to Bairstow. Another maiden. It would be a major surprise if this game doesn’t finish today. England could easily rout West Indies for 50 or 60. 7th over: West Indies 11-3 (Hope 0, Chase 1) That was a desperate duck from Darren Bravo. He survived an LBW review first ball, was beaten five times by Anderson, and then edged to slip. Anderson has five slips and a gully for the new batsman Roston Chase, who squirts a single to get off the mark. Anderson has figures of 4-2-6-3, and four of the runs he conceded came from an edge that went through the slips at catchable height. And another one goes by. Bravo drives hopefully at Anderson and edges straight to first slip, where Root takes a comfortable catch. It was a poor stroke but Anderson has been truly majestic in this spell. 6th over: West Indies 10-2 (Hope 0, Bravo 0) Hope does well to defend a couple of sharp nipbackers from Broad. It’s a maiden; Hope has 0 from 19 balls, Bravo 0 from 10. Meanwhile, here’s more on that incident between Shannon Gabriel and Joe Root yesterday. 5th over: West Indies 10-2 (Hope 0, Bravo 0) Bravo is beaten twice more by the brilliant Anderson. It looks like a wicket could fall every delivery, though West Indies know that things should get a lot easier as the ball loses its hardness. The drive, it’s fair to say, is not a percentage shot at this stage of the innings. 4th over: West Indies 10-2 (Hope 0, Bravo 0) The Buttler dropped it again. Hope drives loosely at Broad and edges it straight to third slip, where Buttler puts down a routine chance. He’s had a shocker in the slips in this series. 3rd over: West Indies 10-2 (Hope 0, Bravo 0) Bravo is beaten by his second, third I fourth deliveries. Blistering stuff from Anderson. “Joel Garner - my favourite West Indian fast bowler - gives Greg Chappell a proper working over,” says Matt Emerson. Darren Bravo survives an LBW review first ball. He fell over a beautiful inducker from Anderson that thudded into the pad, and the whole England team went up in expectation of a third wicket. They were confident enough to review when it was given not out, but replays showed it was bouncing over the stumps. Lovely stuff from James Anderson. Brathwaite edges a good delivery to second slip, where Ben Stokes takes a simple catch at the second attempt. The line and length were immaculate, forcing Brathwaite to play, and there was just enough seam movement to take the edge. 2nd over: West Indies 10-1 (Brathwaite 8, Hope 0) Stuart Broad shares the new ball. 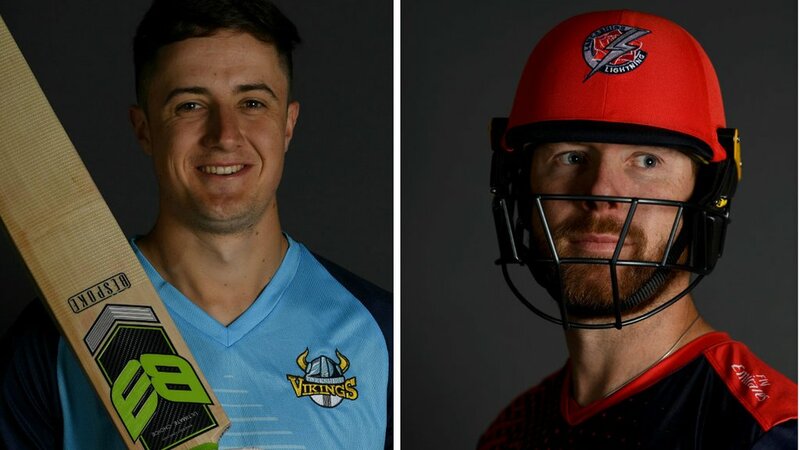 I think that’s the right decision, although Root must have been tempted to give it to Mark Wood, move himself to mid-off and get out a bucket of popcorn. The new ball is doing all sorts off this capricious pitch. Hope survives an appeal for a catch at short leg and then misses a big drive at a ball that snaps back through the gate and just misses the off stump. 1st over: West Indies 7-1 (Brathwaite 5, Hope 0) That was so good from Moeen, only one rung down from Ben Stokes’s once-in-a-lifetime grab to dismiss Adam Voges in 2015. Anderson almost struck with the first ball of the innings, incidentally, when Brathwaite edged at catchable height between third slip and gully. Joel Campbell falls for a golden duck! He edged a drive at a James Anderson outswinger towards gully, where Moeen Ali stretched high to his right to take a blinding one-handed catch. Yes, that was ever so impressive. It would have been so easy to say nothing, or to smile nervously, or to freeze for a few seconds until the moment had passed. One thing I found interesting is that he seemed conscious that the stump-mic was on, not that this in any way detracts from a note-perfect response. Ben Stokes finished on 48 not out, since you asked. Root falls for 122, clunking a low full toss to short midwicket. He’s mildly annoyed as he walks off, though he shouldn’t be so hard on himself. That was an impressively resilient innings which partially redeems a miserable series, and England have a lead of about 800. Root has decided that’s more than enough. He has declared, and West Indies will return in 10 minutes to chase a nominal target of 485. 105th over: England 360-4 (Root 122, Stokes 47) Stokes has a golf swing at Alzarri Joseph’s first ball, launching it over midwicket for four. It’s really good to see Stokes playing with his old aggression. I know this innings ia bit of a freebie but he was also much more positive in the first innings. 104th over: England 351-4 (Root 119, Stokes 40) Root misses a premeditated scoop off Gabriel, who is precisely 0.00 per cent amused, and then laces a classical cover drive for four. For the first time in a while, England’s batsmen are having a bit of fun. “I had the privilege or honour to film and direct the great Shoaib for a Channel 4 trailer,” says James Quigley. “He promised me 20 deliveries at full speed. And he delivered! I had a 6x6ft bulletproof glass erected behind the stumps as I was using a fisheye lens on the camera, 12mm. When Shoaib hit the stumps that I had doctored with polyfilla they exploded and as the ball hit the glass everybody dived for cover and we all jumped out of our skins. It was unreal. 103rd over: England 345-4 (Root 114, Stokes 40) For the first time in a while, Ben Stokes looks like he’s enjoying his batting. He is in one-day mode this morning and has just lifted Roach imperiously over midwicket for six. 102nd over: England 334-4 (Root 113, Stokes 34) Shannon Gabriel starts at the other end and beats his favourite enemy Ben Stokes with a superb delivery angled across him. We don’t yet know whether the ICC will take any action over Gabriel’s comments to Joe Root yesterday, mainly because at this stage there is no hard evidence of what he did or didn’t say. Mind you, in modern society you are innocent until assumed guilty, so I don’t really know what the ICC are waiting for. 101st over: England 332-4 (Root 112, Stokes 34) There was a bit of rain in St Lucia this morning, but the sun is out and play has started on time. Ben Stokes sets the agenda for the next hour’s play, walking down the track to club Kemar Roach’s third ball of the day whence it came for four. Roach then beats Root with a brutal leg-cutting lifter from wide of the crease. That was the definition of unplayable. The first ball. That’s the one. If I could go back in time to watch one fast bowler, it would definitely be Thommo before his shoulder injury. Just look at him. So, what’s your favourite spell of raw quick bowling? I’ll start. Now, about this match. England are going to win it; probably tomorrow, possibly today. They will resume on 325 for four, a lead of 448, with Joe Root on 111 and Ben Stokes on 29. We already know how the story ends, but finding out the details should be a lot of fun. Hello. Are you high on speed? ‘Cause I’m high on speed! I should stress, in the interests of my future earnings potential, that I have not gone back to the 1990s in my choice of office stimulant. It’s just that I’m struggling to sit still with excitement, because today, at some stage, we are going to see Mark Wood bowl. I know. We’re all friends here, so let us speak frankly. Wood’s recall for this Test barely raised a meh. It’s not that we don’t wish him well, because if you don’t love Mark Wood you should seek medical help at your earliest convenience. It’s just that his career had apparently been in steady, sad decline since his eyecatching contribution to the 2015 Ashes. When he was recalled, I expected him to smile a lot, fall over a few times, ride an imaginary horse once or twice and take two for 84 from 24 overs.